While games from other publishers pop up on Origin here and there, much of EA's PC gaming platform is dedicated to selling titles made by EA itself—and one soon-to-expire promotion will get you the full version of one of the hottest games of yesteryear for free. Until May 8, EA's offering the highly regarded space horror game Dead Space for the low, low price of absolutely nothing on Origin. The game still holds up well despite being nearly six years old; we named it to our list of the most terrifying PC games around just last year. What's more, Dead Space still sells online for $20, so this is a pretty enticing deal for folks who haven't stepped into Isaac Clarke's shoes to battle the sinister Necromorphs yet. 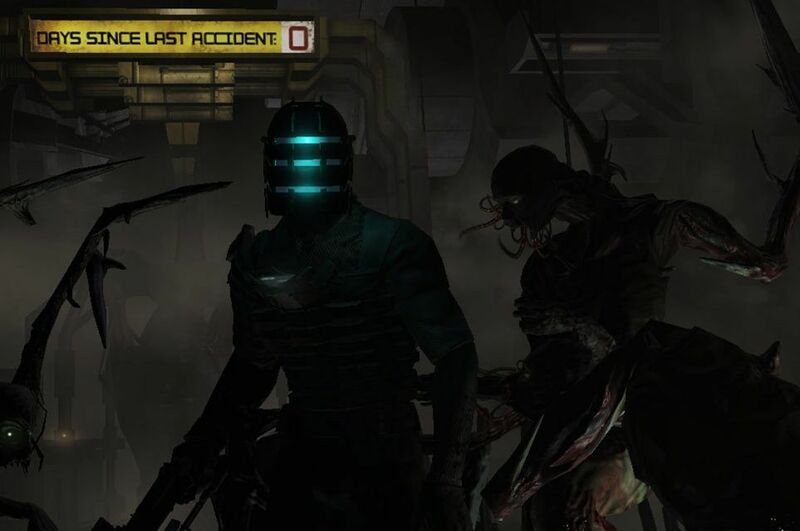 Dead Space is the first game given away via Origin's new "On the House" initiative. EA says it'll be handing out full, free On the House games at random times and for random durations going forward, because "We're gamers, too. We appreciate you making Origin your gaming home ... and besides, who doesn't like free stuff?" 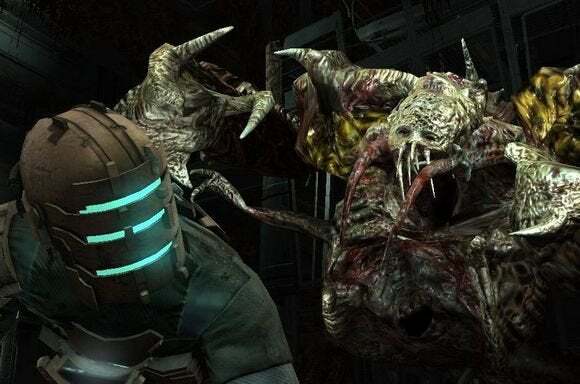 It's hard to argue with that, but giving away older games for free also coaxes PC gamers away from Steam's vaunted sales and into Origin's open arms. Both Sony and Microsoft also offer free games to PlayStation Plus and Xbox Live subscribers, respectively. But hey, why over-analyze a gift horse in the mouth? 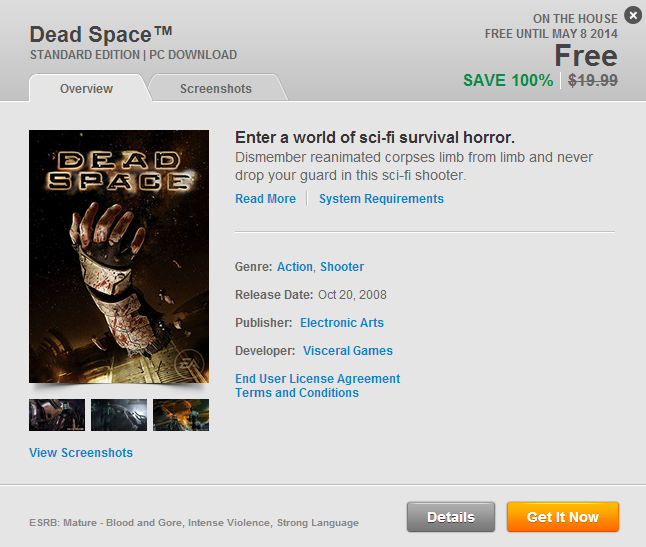 Dead Space is free for the next few days. Go pick it up if you don't own it yet!